Whether it is Asana, Pranayama or Dhyanam, the tools of yoga centre around the proper alignment of the spine. 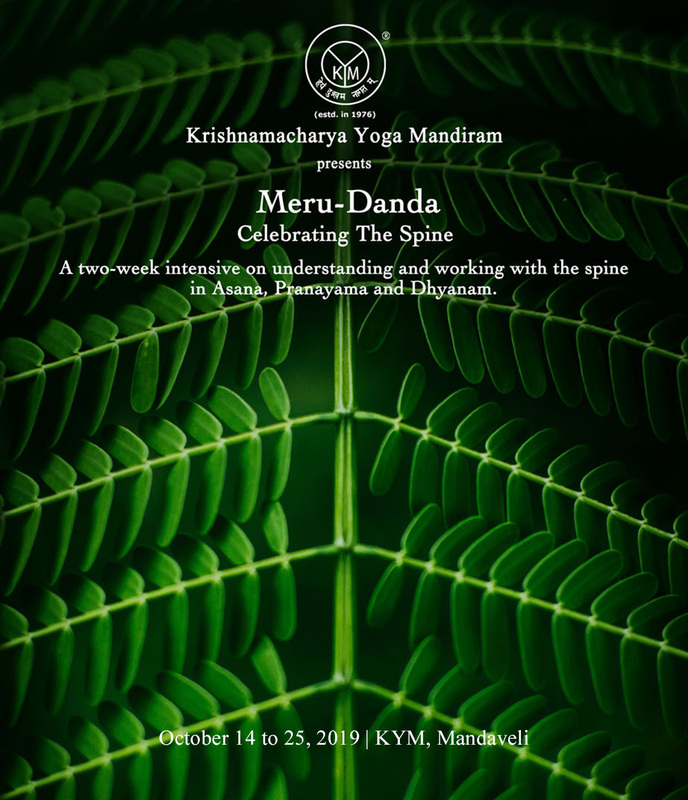 This two-week intensive offers an understanding of the spine, the role it plays in subtle yogic anatomy, the macro and microcosmic links between the universe and the human body which has the spine as its axis, the biomechanics of movement involving the spine and the application of the theoretical fundamentals with regard to the practice of asana (including specific Mudra-s), Pranayama (with Bandha-s) and Dhyanam. The daily schedule includes lectures based on references from classical yoga literature and progressively intensifying practices of Asana, Pranayama and Meditation. This programme would be of interest to practitioners of yoga who wish to deepen their understanding of the tools of yoga.